BOLADALE BAMIGBOLA reports for Osaara African Culture. 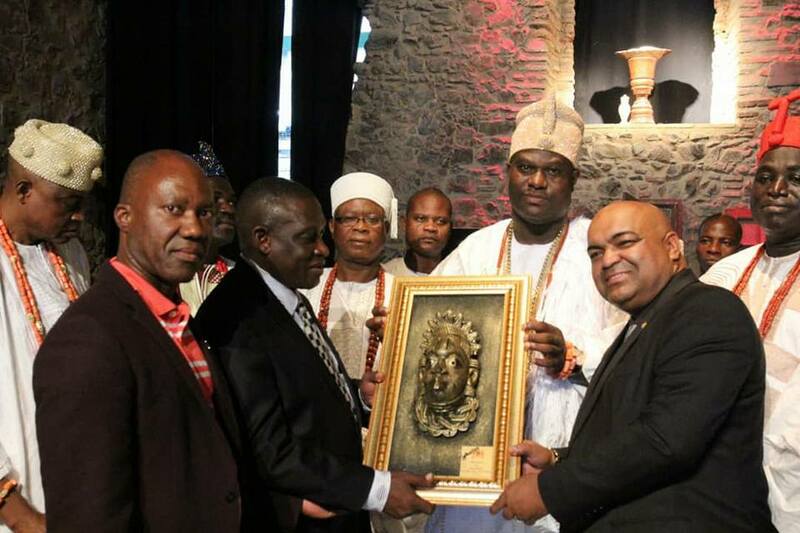 Ooni of Ife, His Imperial Majesty, Oba Enitan Ogunwusi, Ojaja II, has proclaimed Bahia, a state in Brazil as the headquarters of Yoruba nation in the Americas. The royal father made the proclamation during a visit to the oldest temple owned by the blacks in Salvador, the headquarters of Bahia state. The royal father, alongside 17 notable royal fathers drawn across South West states and Kwara, Ifa priests, university teachers, culture promoters and newsmen, are currently on the tour of the Latin American nation. The temple called Espaco Cultural Da Barroquinha, according to Bahia state’s Commissioner for African Affairs, Arany Santa, was established about 600 years ago by the African descent. She further explained that the temple used to be a Catholic church, until the blacks acquired it, and had since used it as a place of worship by the adherents of traditional African religion. From the songs rendered, mode of dressing and worship, the adherents clearly established their links to the Yoruba race and expressed their desire to further deepen their knowledge about their roots. 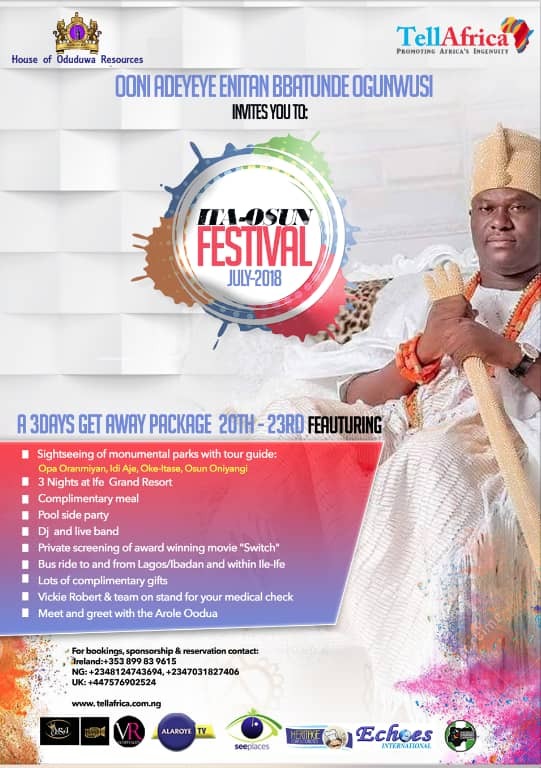 Addressing the adherents, Ooni Ogunwusi, said before leaving Nigeria, he consulted the ancestors and prayed for successful trip, adding that signs were obvious since he came into the country that things were going to change for better for not only the descendants of Oduduwa but the entire residents of Bahia. Ooni further posited: “I commend you for keeping Yoruba heritage, religion and culture alive, several years after circumstances forced you away from the ancestral home. I am assuring you of my support in whatever way such is needed to make you remain close to your roots back in Nigeria and Yorubaland. Titled “Solemn Declaration of Bahia as Yoruba Capital of the Americas”, a statement by Moses Olafare, Director of Media, Ooni’s Palace, said Ooni Ogunwusi and the Mayor of Salvador, ACM Neto, signed the declaration, conferring on Bahai status of capital city for the Yoruba people in the Americas. 1. That this nobel land of Bahia de todos as Santos shall henceforth be officially referred to and recognised as the Yoruba capital of the Americas. 2. That this solemn declaration is being accorded in recognition of the long standing historical and cultural protagonism of the African descendants in this land, who have laboured incessantly in the course of the last five centuries to preserve the African, especially the Nago-Yoruba cultural, historical and religious worldwide which they kept alive by dint of collective determination as a source of cultural and communal pride, sociopolitical and economic emancipation. 3.That the citizens and children of this noble land shall henceforth be considered as authentic children of the great Oduduwa in the same way as their brothers and sisters in the Yorubaland. 4. 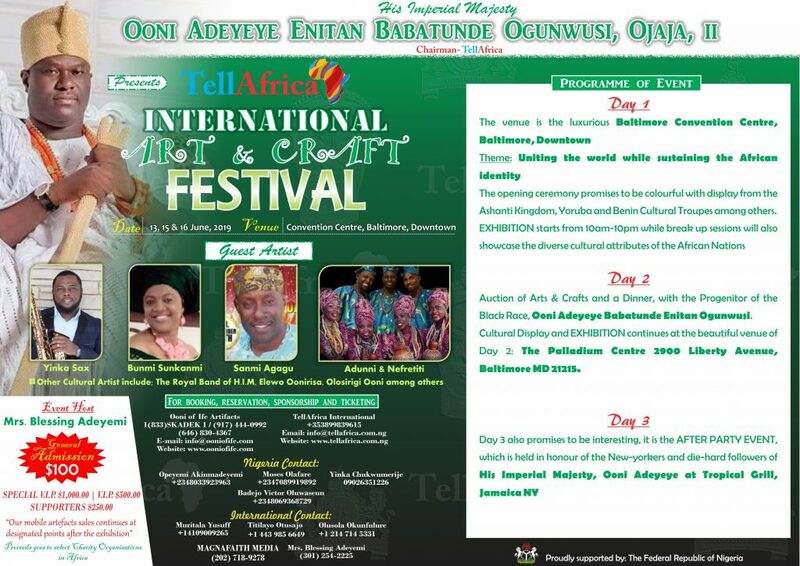 That the land of Bahia de todos as Santos shall henceforth be invoked in all the prayers and blessings offered in the palace of Oonirisa, Alase Adimula in Ile Oduduwa, especially on the annual occasion of the Olojo festival when the Ooni wears the ancient and the most sacred Are crown to bless the entire Yoruba nation and the il’eya omo Oduduwa, when the Ooni celebrates his coronation anniversary with the world. Responding, Christiane Taquari, Bahia state Commissioner for Culture, commended the royal father for the visit, and assured him of their readiness to obey all his admonitions and further preserve Yoruba traditions and culture. Also in a remarks Ambassador of Guinea Bissau to Brazil, Dr. Rui Barai, acknowledged the leadership role Nigerian government has been playing in Africa, especially West Africa at ensuring that peace reigns across the region. 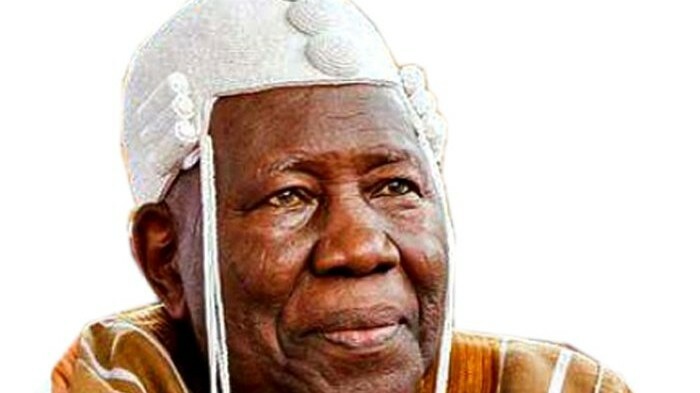 Barai added that he chose to attend the event because of severial reports about activities of Ooni Ogunwusi he has read and urged him not to relent in his pursuance of peace and efforts aimed at reuniting all descendants of the Yoruba race. Also commenting, honourary consular, Guinea Bissau to Brazil, Adailton Maturino does Santos, called for support for Ooni Ogunwusi for him to successful implement all his laudable programmes designed to foster unity among the descendants of Oduduwa.